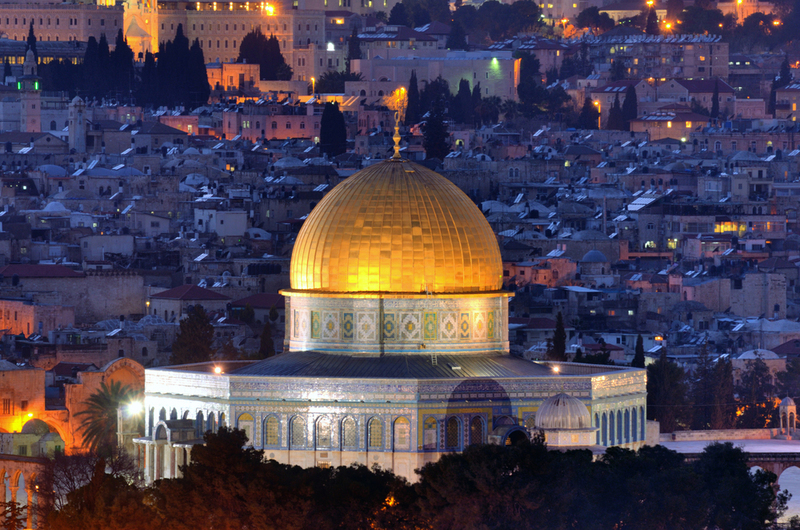 The activity of the Hospitallers in having established a hospital in Jerusalem in the 12th century is reflected today in the generous support given by the United Orders to the St John Eye Hospital Group based in Jerusalem. The modern hospital was in fact established in 1882 by the Venerable Order of St John with which the United Orders have long enjoyed a friendly relationship. This hospital is the principal charity supported by the United Orders and it provides free treatment to men, women and children of all religions - in an area where eye problems are a major issue and where the rate of blindness is ten times higher than in the West. 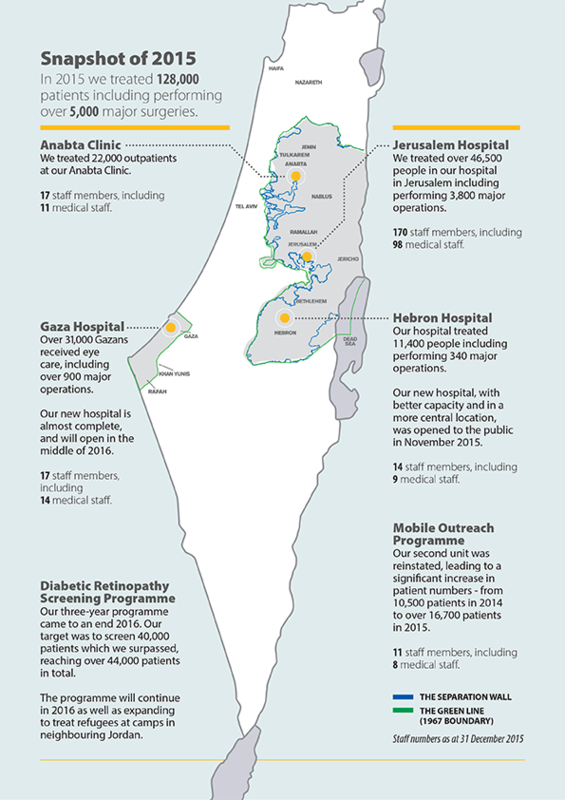 The group runs hospitals at Jerusalem, Hebron and Gaza as well as a clinic and an outreach programme - all with a staff of more than 230 people and in 2015 it treated 128,000 patients.